Rev. Theresa McDonald-Lee and Johnathon Lee began their work as the Co-Executive Directors of Camp Kintail in November 2007. Theresa is a long time Kintail camper, LIT, and staff member. She attended the first Kintail Family Camp as a three year old and has spent part of every summer at camp since that first experience. Theresa filled several roles on the camp staff including Counsellor, Lifeguard, On-site Out-tripper, Leader in Training Resource Counsellor, and Assistant Director. She then spent three years as the Director of Presbyterian Camp Douglas in British Columbia. Theresa has an Honours Bachelor of Arts from Trent University with a joint major of Environmental Resource Studies and Women’s Studies. She has a Masters of Divinity degree from the Vancouver School of Theology. From 2002 to 2007, Theresa served as the minister of Knox Presbyterian Church, Monkton and Knox Presbyterian Church, Cranbrook. Johnathon is a University of Guelph Bachelor of Commerce and Master of Business Administration graduate. He worked at the Royal Bank for seven years. As a child, Johnathon attended Camp Bimini, and then spent a summer working at Camp Kintail. When Theresa and Johnathon were out west, Johnathon served as the Administrator at Camp Douglas. Returning to Ontario, he worked at the Royal Bank for seven years in the area of agriculture. Together, Johnathon and Theresa are raising their three beautiful and busy little girls, Ella, Lucy, and Anna. Originally from Belfast, Northern Ireland, Matt (“Turkey”) is no stranger to the camping community. He served as a staff member at Camp Westminster on Higgins Lake in Michigan (2 years as a Counselor and 4 years as Program Director) in between studying at the University of Edinburgh in Scotland for his Bachelors Degree. Matt also spent a year earning his Masters degree from Wayne State University in Detroit. 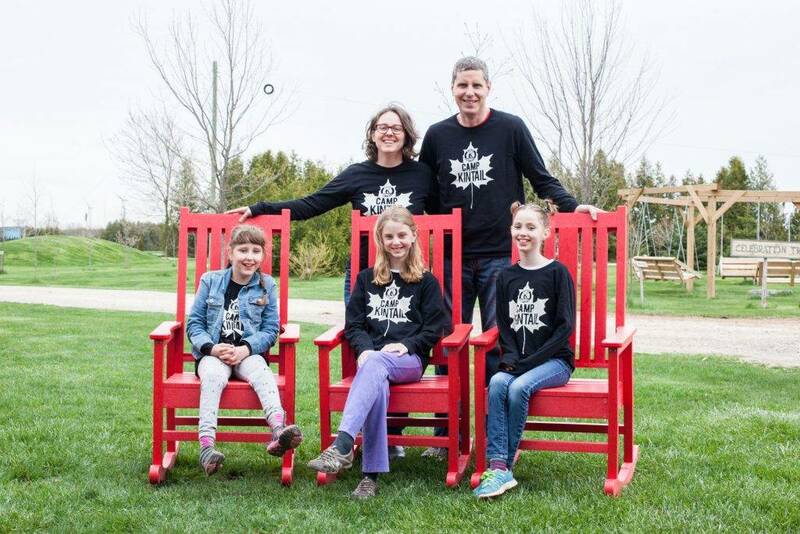 Having spent time at Kintail in the fall of 2013, Matt was more than excited to return to Kintail in 2015 and be involved in the amazing growth happening at camp. His favourite things to do are to go hiking, kayak, hang out with his cats, play golf (regular and disc), Hockey, Baseball, and Football. Mitchell (“Duku”) has been working at Camp Kintail for 8 years now. He joined our full time team as Site Manager in 2016. He has held a wide variety of positions at Camp Kintail including counselor, maintenance director, and summer assistant director. When he isn’t repairing something, building something brand new or thinking up cool ideas for Camp Construct he can usually be found playing disc golf, playing with his cats, or playing Xbox with Turkey. Shelagh “Flame” O’Neill first experienced Camp Kintail in 2000 when she attended a youth group weekend with her church. She returned to Kintail the following summer as a camper and has spent a part of every summer at Kintail ever since. She joined the Kintail staff in 2004 and worked as a Counsellor, Lifeguard, Waterfront Director, Offsite Trip Director, LIT Resource Counsellor, Head Counsellor and Assistant Director. Shelagh graduated from the University of Guelph in 2011 with a Bachelor of Science degree in mathematics & physics and from there continued her education at Nipissing University. After graduating with a Bachelor of Education degree Shelagh accepted a position at a high school in Salwa, Kuwait teaching math and science. From there, she moved to the island of Gameti, Northwest Territories where she enjoyed teaching for three years. Having lived away from Ontario for four years, Shelagh is thrilled to be called back to outdoor ministry and is happy to be home at Camp Kintail. In her spare time Flame loves reading, baking, beading, hiking, canoeing, snowshoeing and singing (really loud in the car)! Since the age of nine, this guy has been coming to camp every summer and has just wrapped up his 5th summer working at camp. Now, Matt “Titan” Speer is our newest and tallest full time staff member. He is a recent graduate of the Outdoor and Adventure Education program at Fleming College. Additionally, he is certified to lead hikes and canoe trips, perform wilderness first responder tasks, and to supervise our waterfront. At camp you can find Titan leading all kinds of activities from the high ropes all the way to the beach. His main tasks will be to co-ordinate with all kinds of rental and school groups, as well as stepping into the role of Challenge Course Manager. Titan’s favourite things in the world are Space Jam, rock climbing, basketball and a well cooked steak. He looks forward to seeing all the campers come each summer and there is nothing that he loves more than making their time at camp extra special. Colin “Arctic” Aerts has served Camp Kintail in a variety of roles which include VOK Director and LIT Resource Counsellor. Arctic originally is from Parkhill, ON and some of his favorite activities to do at camp include Disc Golf, working on maintenance tasks, and hanging out with his dog Burt. Arctic went to school at the University of Western Ontario where he earned his bachelor’s degree in Geology. and earned his degree in Food Services Technology. missed this setting for the last two and a half years and enjoys the camp environment very much. Christin “Hydra” Gillard arrived at Kintail just in time to see the camp break ground on the Nest, and has loved working on site ever since. Christin has her Bachelor’s Degree in Media Communications from the University of Guelph and a Diploma in Media Studies from Humber College, she enjoys going on hyperlink research adventures, painting on the porch of the Nest, and reading in hammock village. Originally from Mount Brydges Ontario, Christin grew up attending North Caradoc Saint Andrew’s Presbyterian Church Strathroy where she served as a ruling Elder, attended General Assembly as a Y.A.R. and has written articles and blog posts for the Presbyterian Record. The opportunity to work with and mentor young people is a true gift. Camp gives campers and staff the opportunity to be the best version of themselves that they can be.